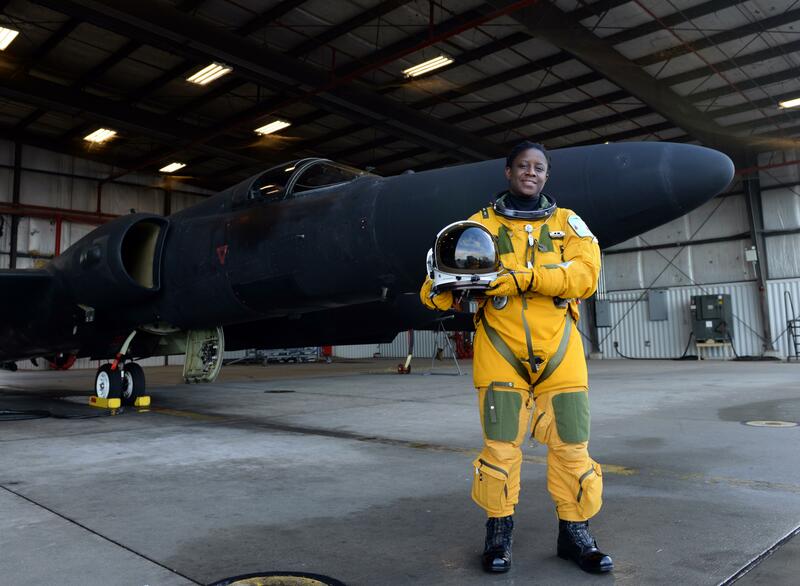 Lt. Col Merryl Tengesdal, a Bronx native, has become the first African-American female to ever pilot the U-2 — an ultra-high altitude reconnaissance aircraft used for intelligence gathering and can fly up to altitudes of 70,000 feet. The article also goes on to say that she has been recommended for promotion to colonel as well. Aug. 1, 2015, will mark the 60th anniversary of the U-2; making it one of the few aircraft to operate in the U.S. Air Force for more than 50 years. The U-2 first flew in 1955, in the same year the Montgomery, Alabama, bus boycott and the Civil Rights Movement began, setting the stage for desegregation. The U-2 provides high-altitude intelligence, surveillance and reconnaissance in direct support of national objectives. The aircraft enables the capture of imagery and delivers intelligence to decision makers worldwide. These missions are often at altitudes equivalent to approximately 13 miles. Pilots are required to wear full pressure suits during flight, similar to those astronauts wear. According to many aviation experts, limited visibility caused by the required helmets, along with the U-2’s bicycle landing gear, makes it arguably the most difficult aircraft to land. Tengesdal is no stranger to challenges. The colonel acknowledged that during her childhood, there were many opportunities for her to stray down the wrong path. “Drugs and alcohol were prevalent in my hometown, but I was influenced to pursue other aspirations,” she said. With guidance from her mother and teachers, she excelled in high school, particularly in math and science. After high school, she attended the University of New Haven in Connecticut and graduated in 1994 with a Bachelor of Science in electrical engineering. Afterward, she attended Officer Candidate School in the Navy, commissioned as an ensign in September 1994, and attended flight training shortly after.